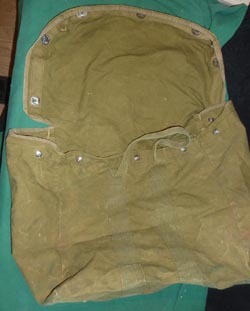 This is a neat example of an original WW2 German item which was liberated by a Company Commander and shipped home filled with souvenirs. 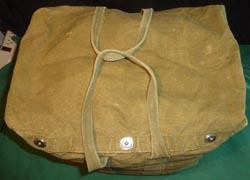 Luftwaffe Parachute Bag was standard issue to both Aircrew and Fallschirmjager Paratroops and designed to carry the parachute pack and harness assembly. 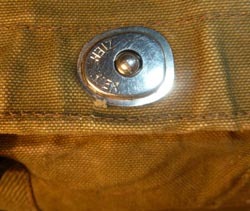 It snaps up with "Press Dot" fasteners, the German version being nickel plated and marked "Zieh Hier". 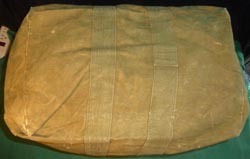 Bag was photographed stuffed with bubble wrap - no contents. 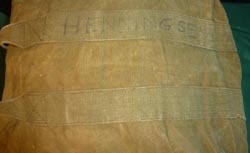 Marked "HENNINGSEN". 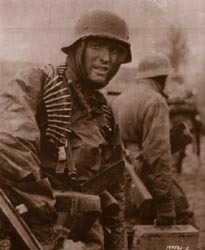 This is Lt. Etlar A. Henningsen - 776th T.D. B/N - APO #758. 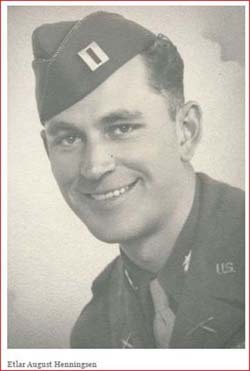 Henningsen's 2014 obituary states: "Etlar Henningsen was a Captain in the mobile tank destroyer unit under 14th Armored Division, "Liberators", that started their tour of duty in North Africa under General Patton and then was mobilized in Italy, France and Germany as the war progressed. 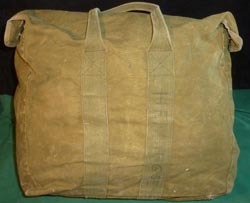 He was a company commander of the attack tanks who led the charge against Rommel's panzers in multiple battles in North Africa. They continued fighting for the Allied forces up the Italian peninsula, fighting battles at Salerno, Monte Cassino and Anzio, among many". 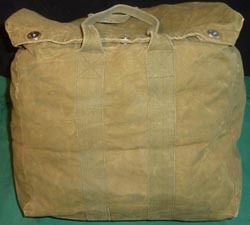 The last photo was published with his on-line obituary - photo is not included in this listing.